Tonight "hundred of supporters" including "Chicago 2016 committee members, supporters, athletes, media, staff and others," will board a Boeing 747, which is decorated with the Chicago 2016 logo. 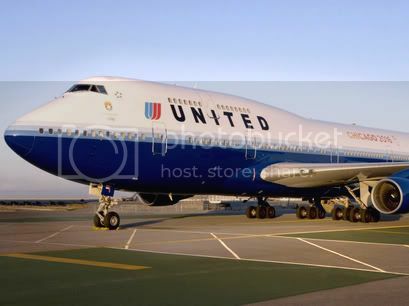 United Airlines is supplying the charter flight as an official sponsor of the Chicago 2016 Olympic bid. "As Chicago's hometown airline and official airline of the US Olympic and Paralympic Teams, United is proud to support Chicago's and the U.S. bid for the 2016 Games, and be a partner in this historic event," said Glenn Tilton, chairman, president and CEO of United Airlines. "We are very pleased that our flight crews, our customer service and ramp employees, and all of the other employees get to be a part of this momentous flight." Of course, in Olympic bidding everything is a competition. 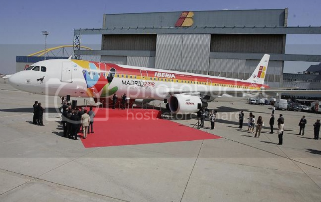 Chicago 2016 isn't the only bid with their own plane. 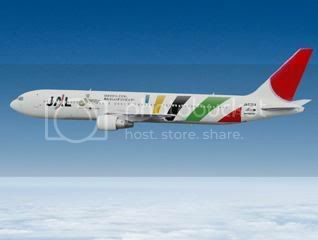 Japan Airlines (JAL) and Iberia Airlines are supplying custom transportation for Tokyo 2016 and Madrid 2016 respectively. Here's a look at how the teams are traveling. We couldn't find one for Rio.. one strike against.